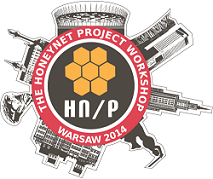 The Workshop Committee coordinating with the local workshop co-coordinator - CERT Polska - is responsible for organizing the annual Honeynet Project workshop, which is held every year in the spring. Members of the workshop committee help identify cutting-edge issues for presentation and recruit highly qualified speakers to participate in the workshop. They also work throughout the year in preparation for workshop, assist with on-site logistics and take an active role in running the actual workshop.